I have a little thing about gingerbread houses. One of my earliest memories was of my mom's mom's homemade gingerbread houses. She would create these virtual works of art with candy that I would marvel over every Christmas season. This was a woman who pulled her own taffy, too! 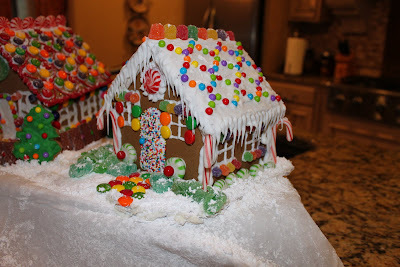 She died when I was very young, but my mom kept those candy houses and all through my elementary school years, she would pull them out of the attic, dust them off, and we would enjoy them each and every Christmas. 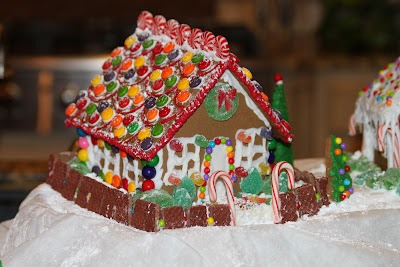 I've been making gingerbread houses with my own children since they were really little, too. I wish I could say I just let them do their own thing and go to town, but I'm not quite that evolved.... yet. (There's always hope, I guess). I usually buy the store kits and add lots of other candies, too. 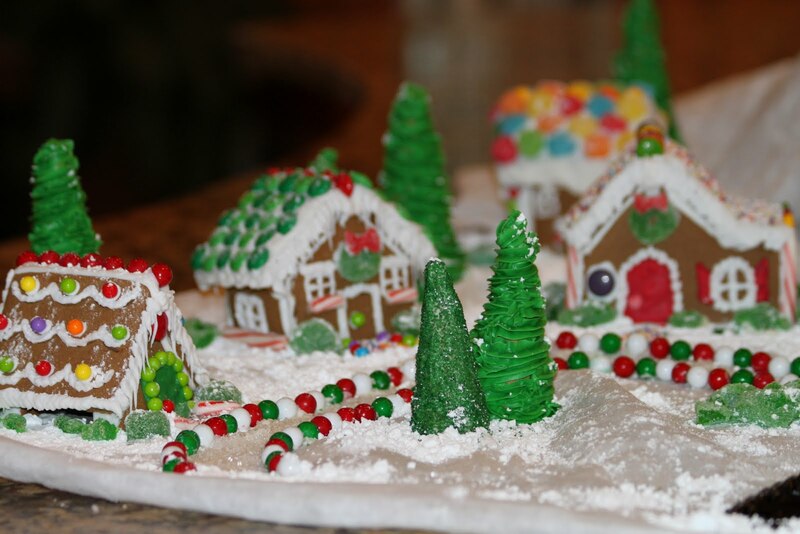 I put the houses together and then let the kids decide how they'd like to decorate. Then I help them a little, OK a lot, placing everything on the houses. It's really a lot of fun -- a whole day, usually, of family togetherness. The kids look forward to it, too. 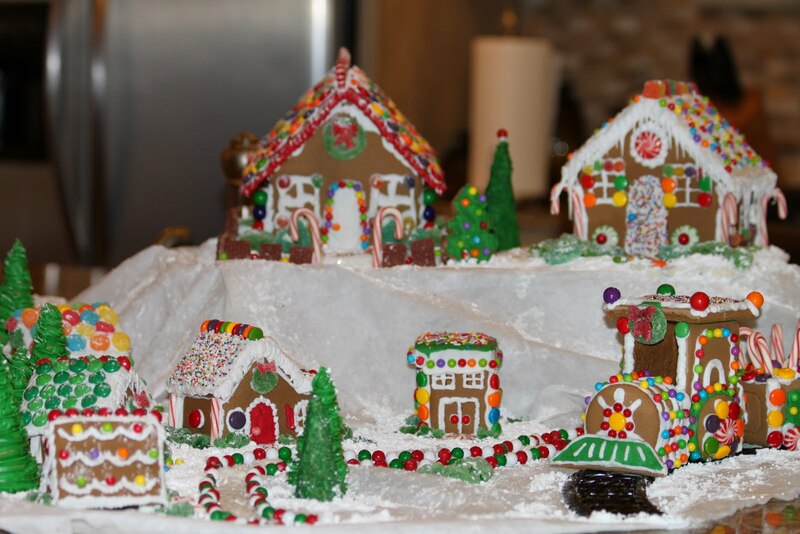 They're asking from Thanksgiving on, "Mom, when can we do the gingerbread houses?" Last year we bought the little gingerbread village and the train set in addition to two full-size gingerbread houses. It was quite a project! But I loved how it turned out. 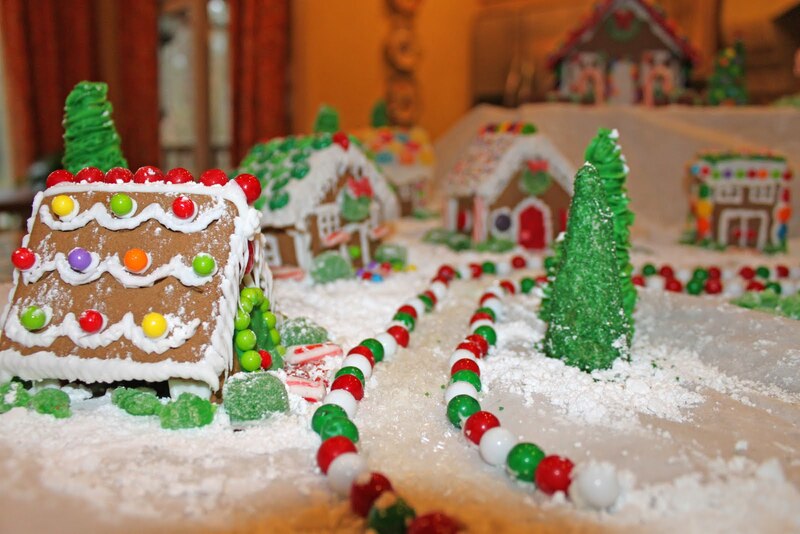 How much fun is it to make a whole gingerbread town! And I finally got a little smarter last year and saved most of it by packing it in ziploc bags and putting them high on a closet shelf.... safe and sound until this December. I can't wait til later this week when we carve out some time from our busy holiday schedules to make a few more houses to add to the collection. And maybe this year, I'll even ease up on the control-freak mama thing and let them do it themselves..... or I could always just wait until next year! OMG! 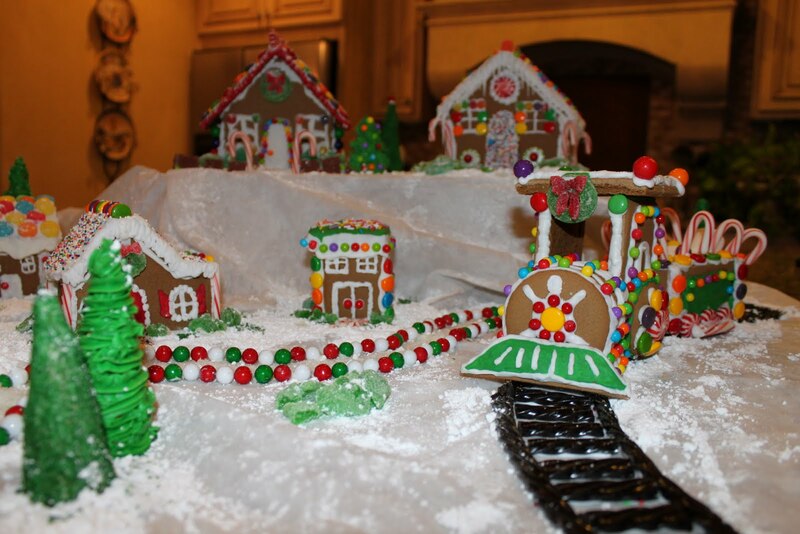 Your gingerbread village so darling!! OMG!! Toooo cute!! Great job! So sweet! 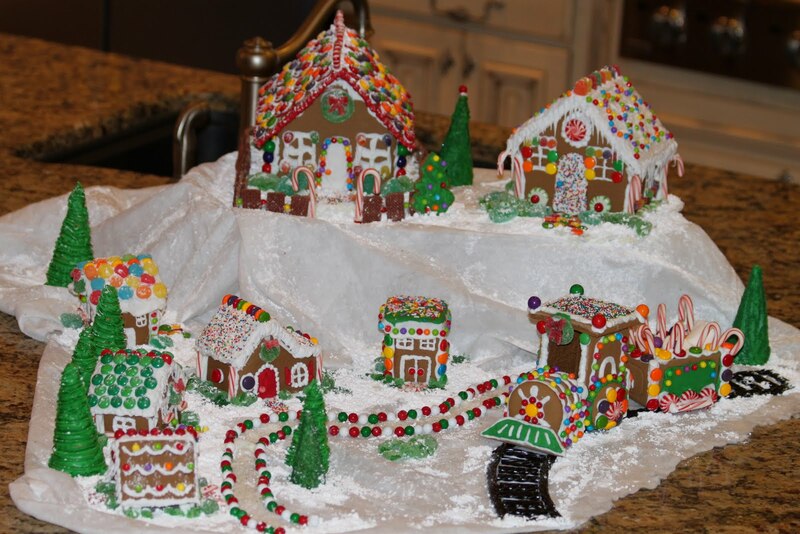 I've got a "Gingerbread House Making Party" scheduled for next week. Hope I can stay out of the candy until then! 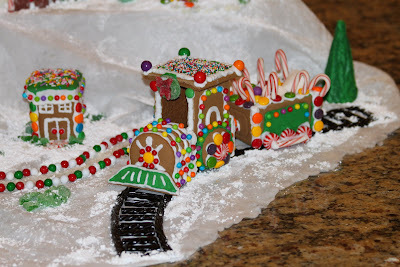 I never see a gingerbread train. How nice! That is so cool! 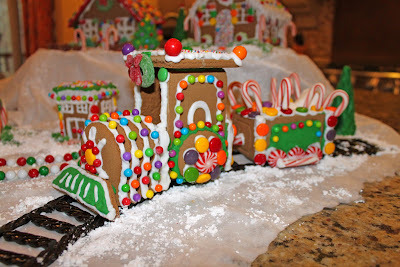 I love the train! 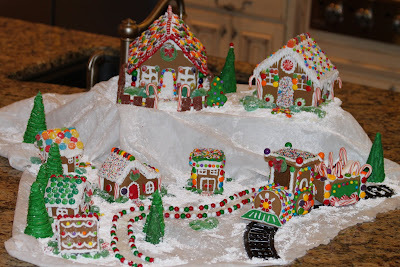 I am just getting around to visiting and I LOVE your gingerbread village !! Just too cute!! That is so amazing! What a wonderful tradition that your family has. 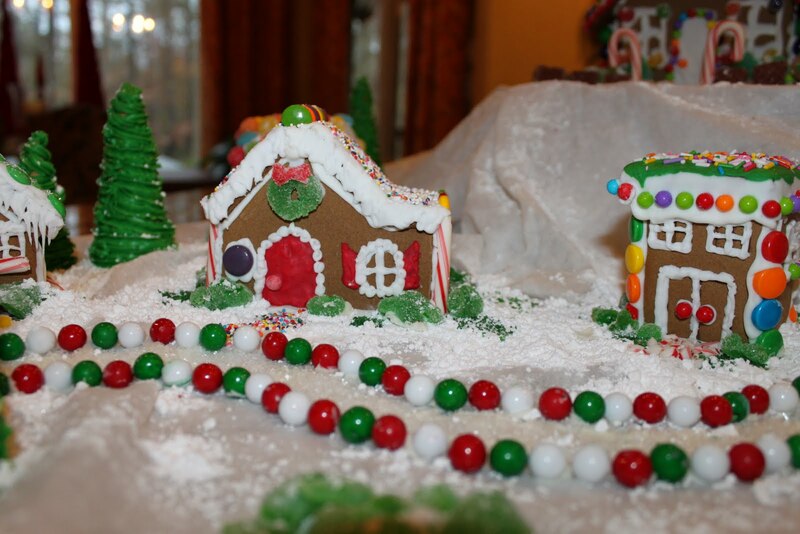 You are very clever at making gingerbread houses! I am hosting a Gingerbread house link up as part of my 12 Days of Christmas series at my Christmas blog. I would be honoured if you could stop by and link up this wonderful idea/post!